In This Issue: Obamacare war fallout | skinny insurance plan proposal | state marketplace patchwork | AD research paradigm shift | AD funding bonanza | mindfulness and AD caregivers | ALS Project Revoice | Barbara Bush and palliative care | the palliative care access abyss | physician-assisted suicide in DC and Hawaii, self direction for HCBS | the elder care workforce | cardiovascular disease caregiving burden | home delivered meals and ER visit reductions | POLST no-nos | the threat of POCD | antibiotic overuse at the end of life | Medicare and opioids | the costs of family caregiver AD care | the long-term care financing challenge | unretirement | solitary senior contingency planning | unavailable advance directives | the corporate challenge to primary care docs | and the case for 24/7 family oversight of hospitalized loved ones. April saw the ongoing fallout from the 2017 Obamacare battles unfold in the form of debate over proposed “skinny” health insurance plans, essential benefit packages and insurer medical spending requirements, and states’ moves to emulate Kentucky by imposing work requirements on expanded Medicaid populations. Developments at the federal level are resonating among the states, but the impact is quite disparate. In New Jersey measures to protect the Obamacare marketplace and shield patients from unexpected out-of-network “balance billing” charges have moved close to enactment. The marketplace measure contains two major elements: a first-in-the-nation, state-legislative-passed replacement for Obamacare’s repealed individual mandate penalty—that in turn will be used to fund an insurance market reinsurance pool. Meanwhile, a Michigan Senate panel took the first step towards mandating that able-bodied adults would have to complete 29 hours of work, job training, or education per week to qualify for Medicaid. Tennessee’s Legislature has completed work on a bill that, after Governor Bill Haslam’s expected signature, will require able-bodied people without children under the age of six to spend 20 hours a week working, volunteering, or attending school. “Some lawmakers,” the Associated Press reported, “said that’s an easy enough requirement to meet because Tennessee allows adults without a degree or certificate to go to community college or technical school without having to pay tuition.” Consumer advocacy organization Justice In Aging, however, does not agree, arguing in a new fact sheet that such requirements will result in older adults losing health insurance if they can’t work, people with disabilities who rely on Medicaid losing their coverage, additional burdens on care rendered by the family caregivers, family caregivers losing their own Medicaid coverage, and, because of complicated eligibility rules, even working or exempt individuals losing coverage. Punctuating Barr’s celebration of Congress’ funding generosity, 38 Senators, led by Senators Susan Collins, Mark Warner, and Ed Markey, have written Senate committees to urge appropriation of even greater resources in the next fiscal year. While not calling for a particular dollar amount, experts convened under the National Alzheimer’s Project Act, authored by Collins, said that $2 billion per year in research funding was needed to prevent and treat Alzheimer’s by 2025. Almost 6 million Americans have AD, with overall annual costs to the country of $277 billion, including $186 billion to the Medicare and Medicaid programs, according to the Senators. They are also calling for increased funding to Alzheimer’s and dementia-related initiatives at DHHS’s Administration for Community Living and Centers for Disease Control and Prevention. While AD was a prominent feature of recent news items, another disease—ALS or motor neuron disease—yielded a significant effort by the ALS Association to address one of illness’s many devastating impacts: the loss of the ability to speak. Project Revoice has been launched, an international initiative to help people with ALS record their voices so they can still use them after they lose their ability to speak. The new technology, powered by the Canadian company Lyrebird, can recreate high quality voices with only a few hours of “voice banking.” ALS patient Pat Quinn demonstrated the power of this innovation, with footage from his many pre-ALS interviews used to clone his voice. “This takes speech tech to a whole new level,” Quinn said. “It means everything to how I communicate. I really didn’t like to hear my old computer voice, so I often avoided getting involved in conversations. This technology gives me back a vital piece of myself that was missing. After hearing my voice through this technology, I was blown away! Patients who know that they can still speak in their own voice after ALS takes it away will transform the way they live with this disease.” Lyrebird’s state-of-the-art learning algorithms create artificial voices that sound more natural than has ever been possible. Using just two to three hours of high-quality audio recordings, this model can synthesize the essence of a voice and build a complete digital recreation. Project Revoice linked this tech with eye reader assistive technology to enable Pat Quinn to deliver words in his original, unique voice, rather than a machine voice. Unexpectedly occurring almost simultaneously, the passing of former First Lady Barbara Bush—in the wake of the Bush family’s public declaration that she had opted to receive only comfort care during the last stages of breathing failure—and the annual National Health Care Decisions week combined to intensify attention to end-of-life decision-making. In Washington D.C. elder care services provider Iona used the latter event to publish a guide to the many online resources individuals can access as they grapple with formulating and communicating their final wishes. More distressing news concerning the rising costs of caregiving comes from the American Heart Association. AHA, as reported by Medscape’s Megan Brooks, “predicts that the cost of informal caregiving for patients with heart disease and stroke will double from $61 billion in 2015 to $128 billion in 2035, with the total projected costs of treating cardiovascular disease increasing from $616 billion in 2015 to $1.2 trillion in 2035. By 2035, the number of Americans living with heart disease and stroke will rise to 131.2 million—45% of the total U.S. population. Understanding the escalating burden this will place on with family members and friends who care for these individuals is essential if we are to address this looming crisis, AHA CEO Nancy Brown said in a news release. The AHA’s recommendations for this tsunami of CVD care challenges include acting on recommendations in the NASEM’s 2016 report Families Caring for an Aging America— support informal caregivers, establish payment reforms that motivate providers to engage caregivers in healthcare delivery, pursue federal policies that provide economic support for caregivers, review state initiatives that address care needs, make palliative care available to patients with advanced CVD by expanding access to all hospitals and community-based settings, and embed caregiver engagement and outcomes in performance and payment reforms. AHA also urges rapid implementation of the recently enacted RAISE Family Caregivers Act, which provides a framework for public and private sector stakeholders to develop and execute a national family care strategic action plan. In late March the National Center on Law and Elder Rights conducted a webinar regarding Medicaid’s Money Follows the Person program. Focusing on New Jersey, the program described various legal issues that arise in complex nursing home transitions and how New Jersey’s experience can help address some of these issues. The presenters also reviewed federal HCBS person-centered planning rules to explore how those rules can be used on behalf of nursing home residents in an effort to transition back to the community. Slides from the presentation are available here . Writing in the American Bar Association’s Bifocal publication, long-term elder law expert Charlie Sabatino addressed the “seven deadly sins” of the POLST—Physician Orders for Life-Sustaining Treatment—and how to avoid them. Sabatino’s to-be-avoided list includes using POLST with people who are too healthy; signing a POLST form without meaningful discussion; having patients complete their own POLST form and, in the process, confusing it with an advanced directive; failing to review past forms to account for changed circumstances; letting POLST disappear because of failed inter-facility sharing mechanisms; failing to evaluate one’s use of the POLST paradigm and providing inappropriate incentives for completing POLST. With regard to the last no-no, Sabatino points out, paying physicians or facilities bonuses for completing POLST forms, while increasing their number, could happen at the cost of the quality, appropriateness, and voluntariness when those variables are not incentivized. Paying for the time it takes to have advance care planning discussions is understandably important, but if that is measured simply by the number of advanced directives or the number of POLST forms, unintended consequences are more likely. ﻿CNBC’s Sarah O’Brien puts the caregiving financial crisis in a broader context as she discusses a new Northwestern Mutual C.A.R.E. Study. “More than two thirds of caregivers report providing financial support related to their role. A third spend at least 20% of their monthly budget on caregiving-related expenses. The study offers a monthly breakdown of this contribution: medicine/medical supplies: $273; food: $159; personal care: $151; medical care: $107; clothes: $67; transportation: $54; and profession advisors: $32. Who Will Pay for the Increased Demand for Long-Term Care? “Single? No kids? Don’t fret” New York Times Susan B. Garland reassures in an article exploring how seniors can avoid the potential pitfalls of a solitary old age. “Data from a 2016 study conducted by geriatrician Dr. Maria Torroella Carney show that about 22% of people 65 and older are childless or have children who are not in contact. ‘People, who are aging alone,’ Carney observed, ‘need to make plans when they are independent and functional. They need to learn about the resources and an appropriate time to start using them. Those services could include senior-friendly housing and the growing number of home delivered products and services aimed at the aging-solo market.’ Houston elder lawyer Christina Lesher suggests appointing a ‘micro-board’ which includes a lawyer, healthcare financial agent, accountant, and a geriatric care manager. ‘The board,’ Lesher says, ‘can step in if the client cannot make decisions. 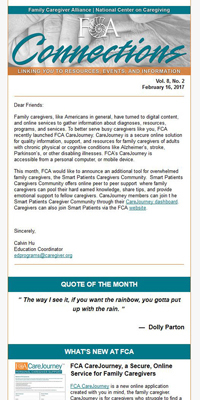 The client could assign a network of friends and neighbors to call in an emergency or if they notice any cognitive decline.’” Garland goes on to review a variety of strategies involving living arrangements, the preparation of appropriate legal documents, and the use of fast emerging services and technological breakthroughs to assist individuals seeking to maintain their independence for as long as possible. 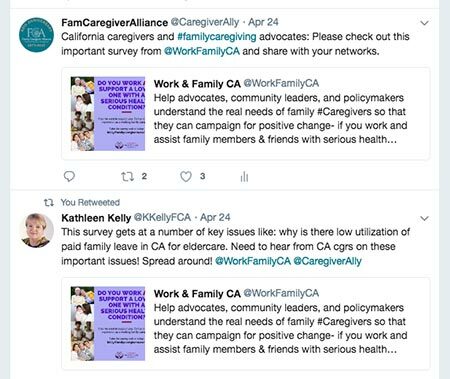 California Work & Family Coalition—an alliance of community organizations (including Family Caregiver Alliance), unions, non-profits, and individuals—works to help parents, caregivers, and families thrive. In January 2018, the Coalition partnered with Human Impact Partners to conduct a research project to identify the resources and supports working caregivers need, including access to a program provided by the State of California, called Paid Family Leave (PFL). 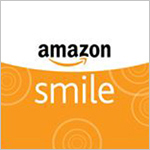 Read more and access the survey here.